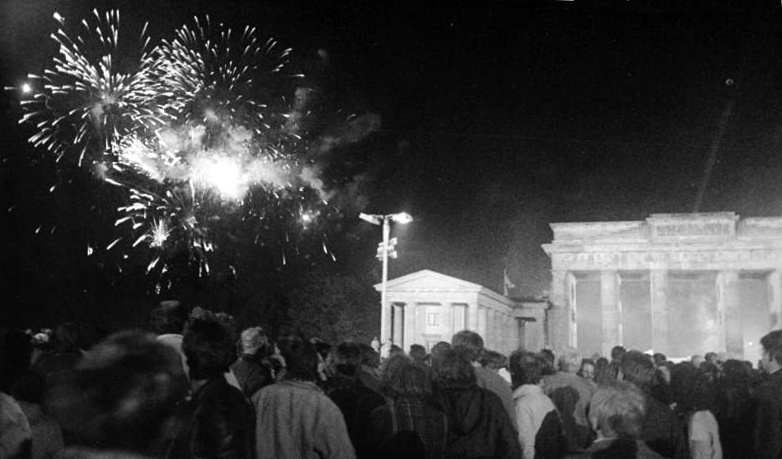 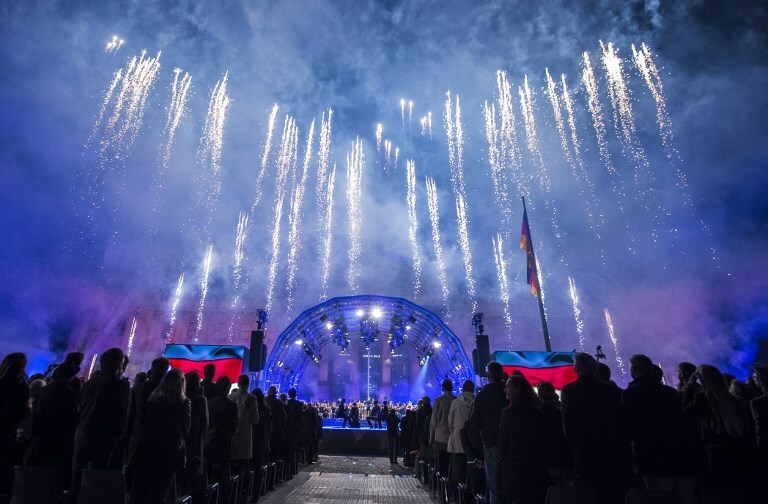 Fireworks at Brandenburg Gate after the reunification on October 3rd, 1990. 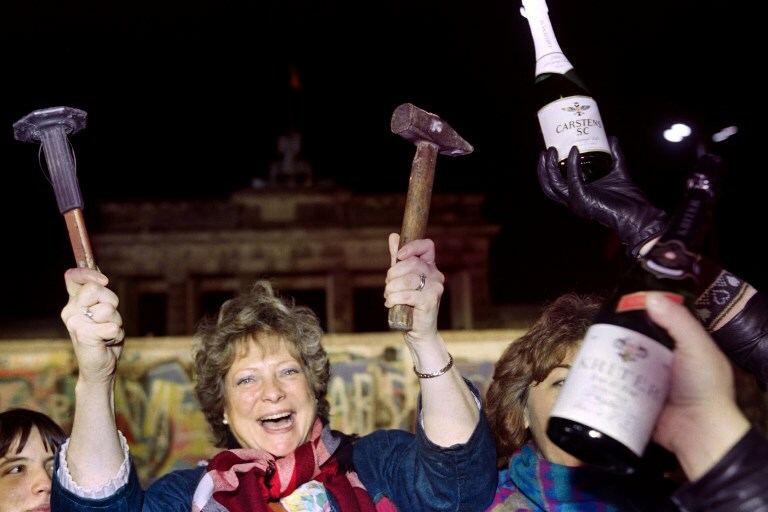 Today is the day when in 1990 East & West Germany officially reunited after spending over 40 years as two separate countries. 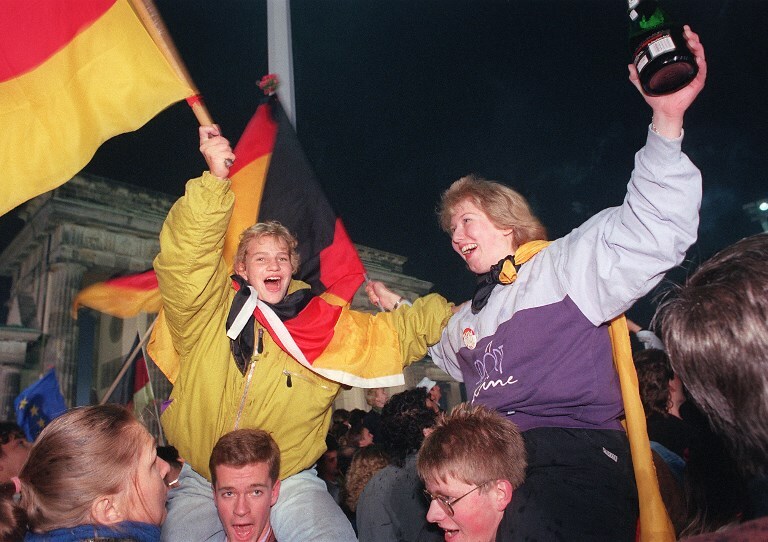 The two states were formed after the World War II, after the Soviet occupation of East Germany. 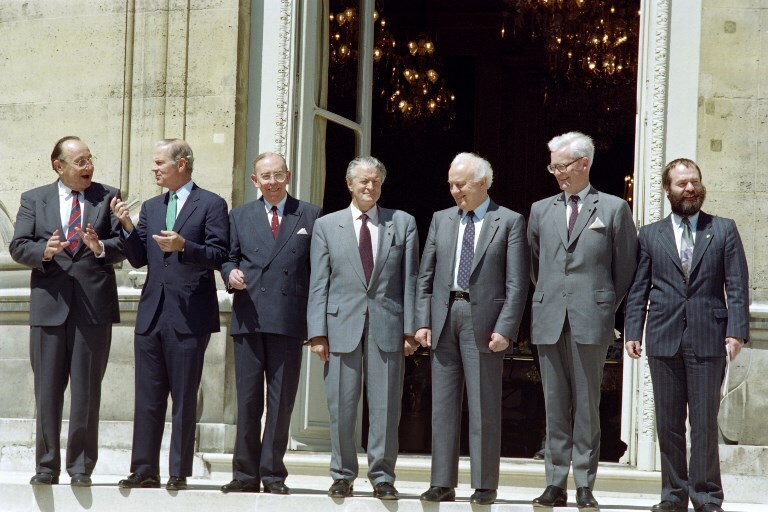 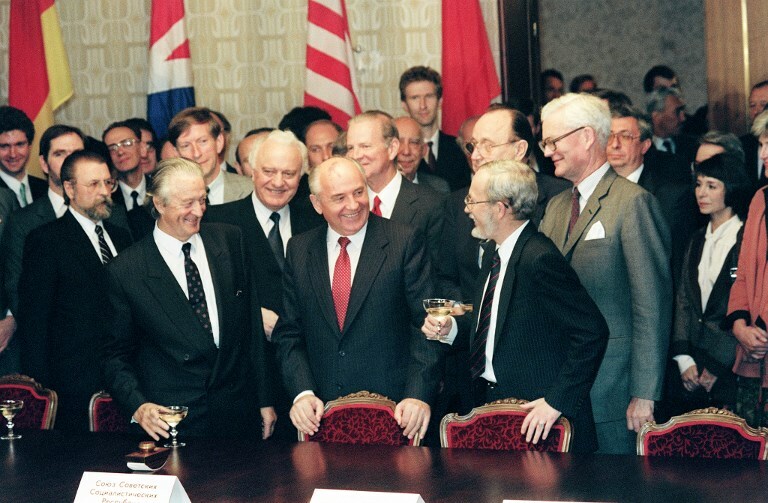 They reunited in 1990 after the East Germany, formally known as the German Democratic Republic, held its first open elections and started negotiations with the West Germany, or the Federal Republic of Germany, about reuniting. 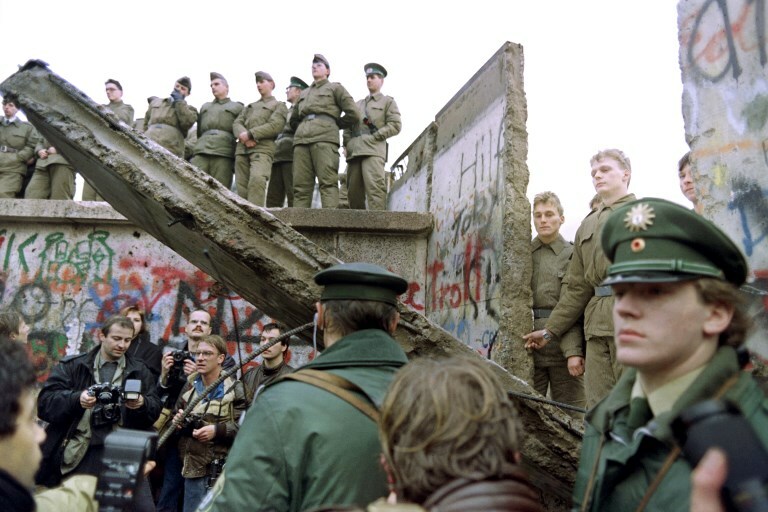 However, practically the country become one when the wall came down. 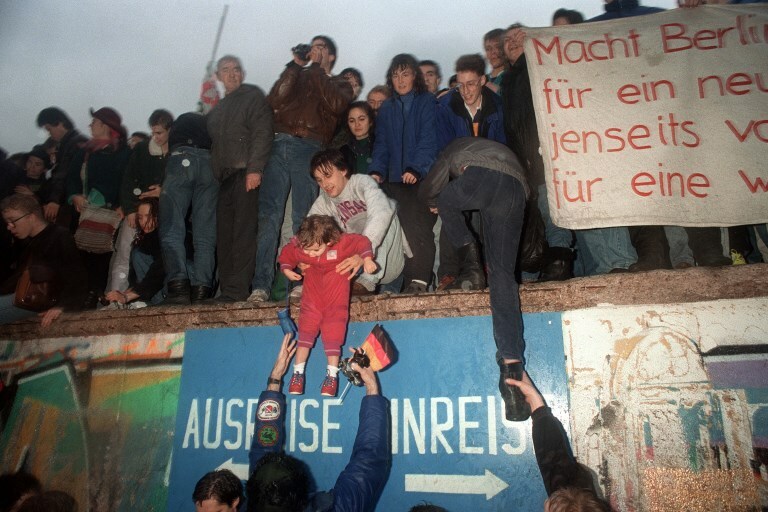 The Berlin Wall, a guarded concrete barrier built by the East German authorities to seal off East Berlin, is the best-known symbol of the division. 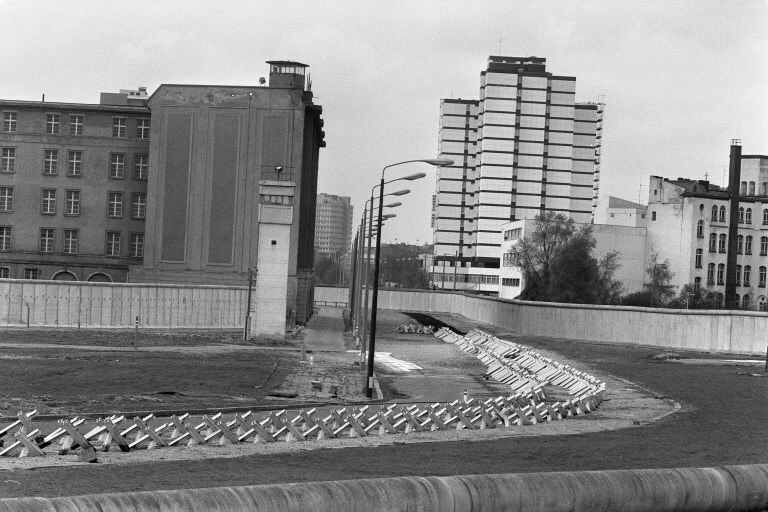 It was demolished in 1989. 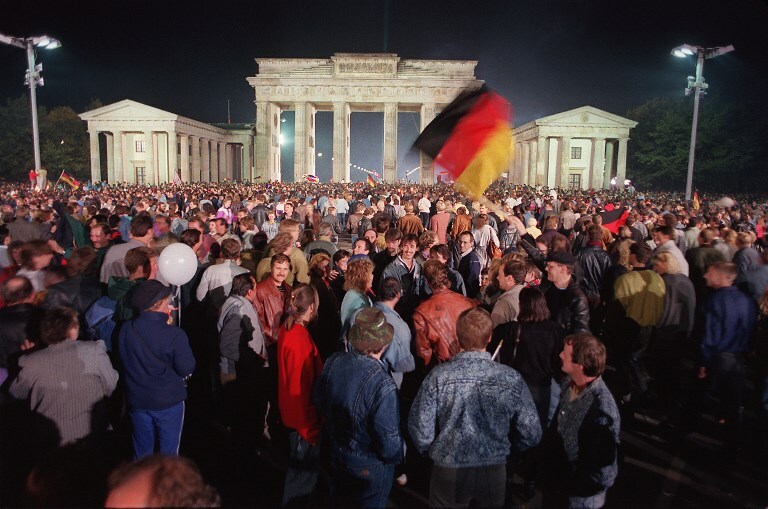 On November 9th, 1989 at 7PM, East German official Günter Schabowski addressed journalists at a press conference which would later become world famous. 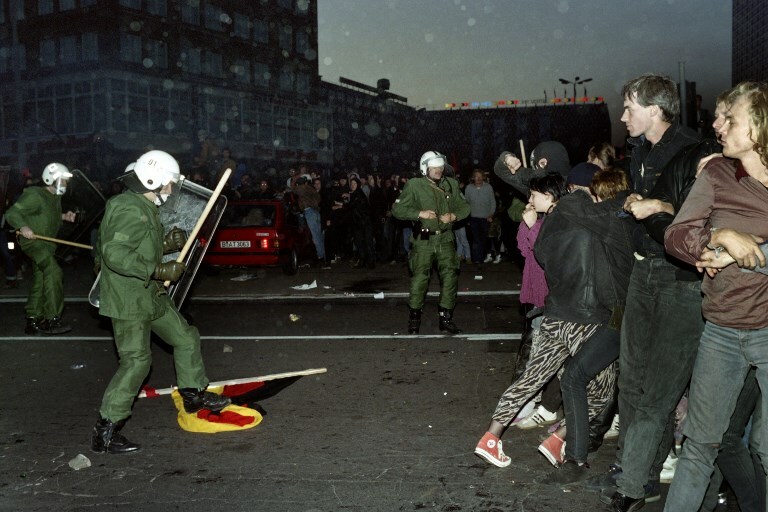 The East German government had revised one of its new travel laws. 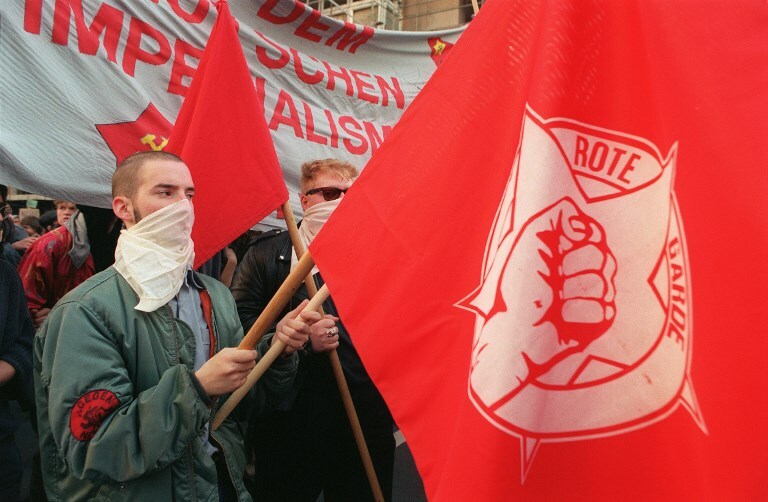 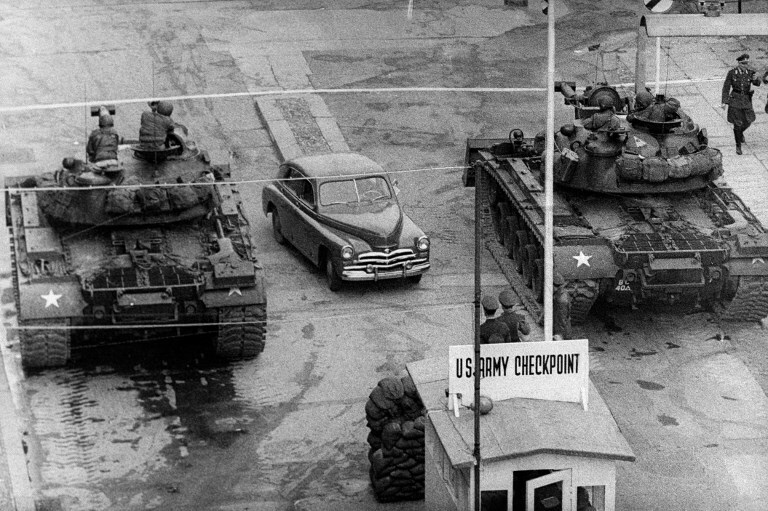 German Democratic Republic (GDR) citizens could now travel to West Berlin without having to meet the former strict requirements. 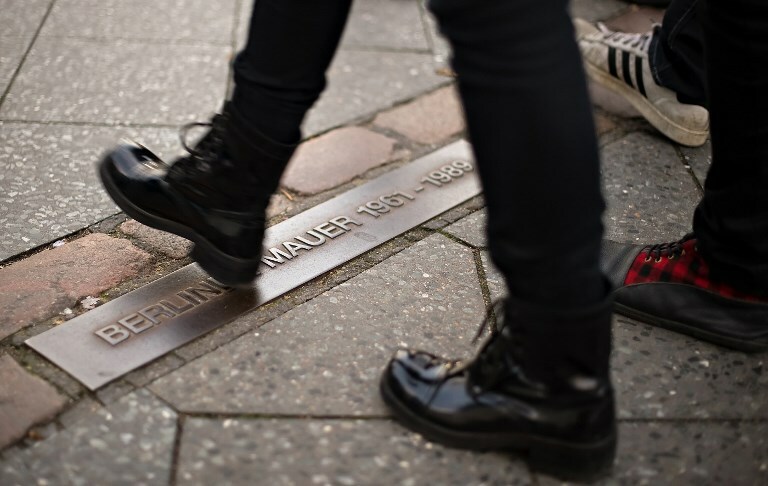 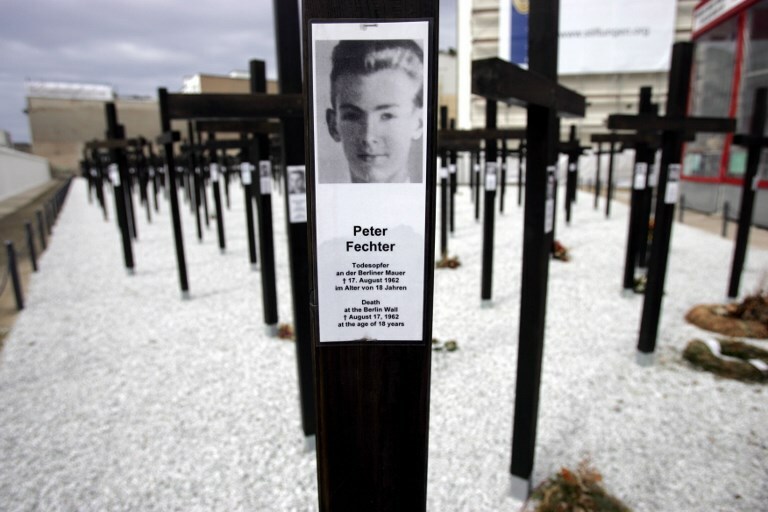 Thousands of East Berliners nonetheless flocked towards the Berlin wall and at 11.30 pm, Stasi officer Harald Jäger was forced to open the Bornholmer Strasse crossing, allowing citizens into West Berlin.